Once upon a time Walt Disney World’s Candlelight Processional did not take place at Epcot. Even though EPCOT Center opened in 1982, it wouldn't become host to the choir, orchestra, and narrated pageantry until 1984. For the first thirteen years of the resort's existence, from 1971 through 1983, the winter spectacle took place in the Magic Kingdom. There were still guest narrators who were popular figures of the day. However, while today’s choir is made up of Cast Members and high school choral groups from more than 30 different states, those early choirs were comprised of boys’ choirs from central Florida. 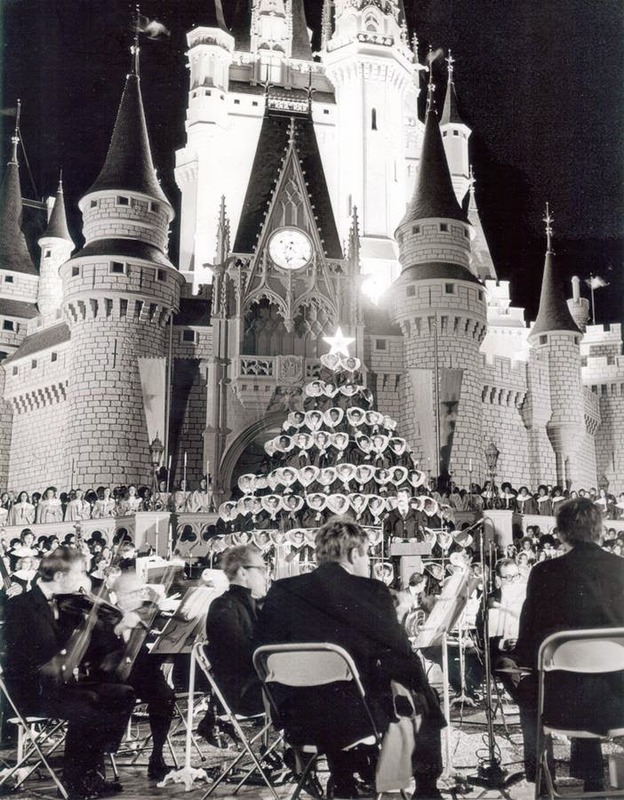 While the Candlelight Processional has become an indelible part of the holiday season at Epcot, you can’t help but marvel at the vision that Walt Disney World had during its first decade. A singing tree against the backdrop of Cinderella Castle, talk about bringing the holidays to life!